It was just weeks ago that Jason Day collapsed at the U.S. Open because of Vertigo. He had the 54-hole lead for the second straight Major and for the second straight time, couldn’t hold it together. Sunday at Whistling Straits, Day would enter the final round of the 97th PGA Championship with the 54-hole lead. This time he would hang on and pull away, holding off Jordan Spieth to pull out a 3-shot win. 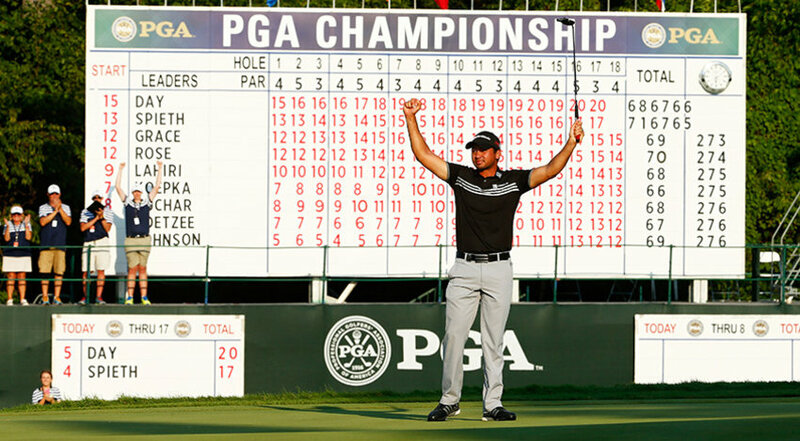 He shot a 5-under par 67 and broke the 72-hole major championship scoring record with a 20-under-par 268. He can no longer be labeled the best golfer without a major. Day made seven birdies and just two bogeys and was dominant with his driver all day. On the par-5 eleventh hole, Spieth’s drive went 302 yards. When he walked up to his ball, he could see that Day’s drive was another 80 yards up ahead. 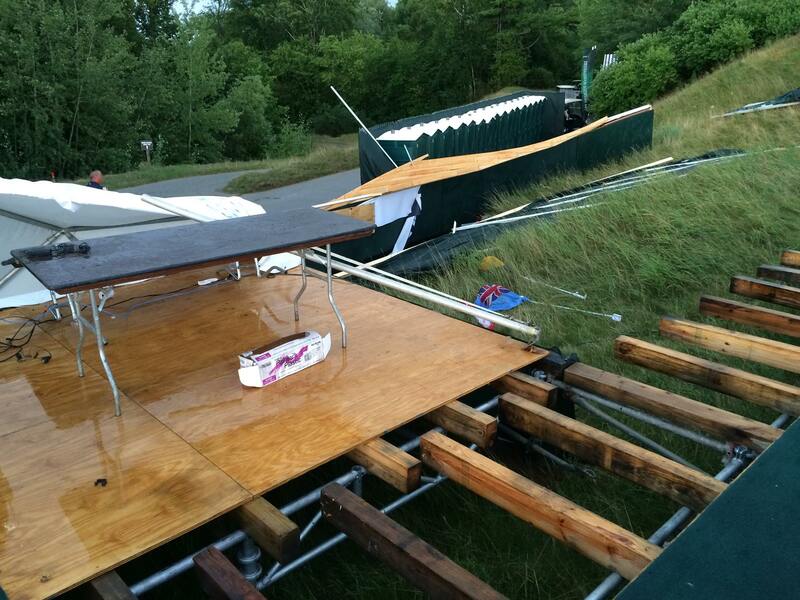 This is what’s left of the main leaderboard at Whistling Straits after a storm blew through Friday afternoon. High winds, lightning, heavy rain and hail came quickly and forced play at the 97th PGA Championship to be suspended. The second round will resume at 7am Saturday morning followed by round three. Jason Day and Matt Jones still have to complete their second rounds, but they share the lead at 9-under par. Day has four holes left to play in round two, while Jones has six holes left to play. Justin Rose has one hole left in his second round. He is at 8-under par, 1-shot off the lead. Hiroshi Iwata tied a major championship record and set the course record with an impressive nine-under-par 63. Iwata started the day plus-four. 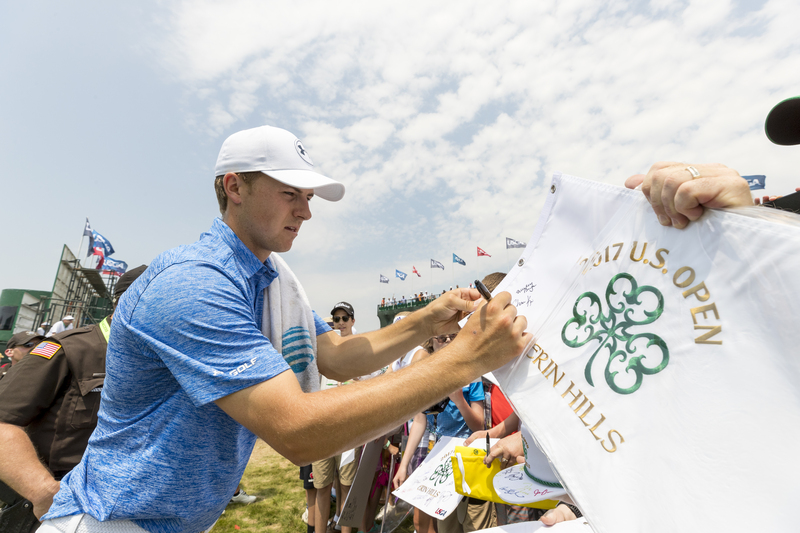 George Coetze fired a seven-under-par 65, Henrik Stenson shot a 6-under par 66 and Jordan Spieth finished his round at five-under 67, standing now at 6-under for the tournament. Most of the 156 golfers at the P-G-A Championship will be on hand today for practice rounds. 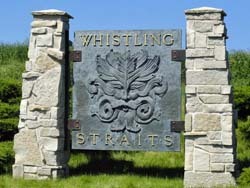 It’s the third time in 12 years that the season’s final major is at Whistling Straits at Haven, near Sheboygan. The first two events at Whistling Straits ended in playoffs. Vijay Singh won a three-way showdown in 2004. Germany’s Martin Kaymer won the 2010 crown after Dustin Johnson blew the title with a bunker shot violation on the final hole. Spectators will sit over that bunker this year. 21-year-old Jordan Spieth took his place among the best in the game by winning the Masters on Sunday at Augusta, Georgia. Spieth lost a bid to become the youngest Masters champion a year ago. 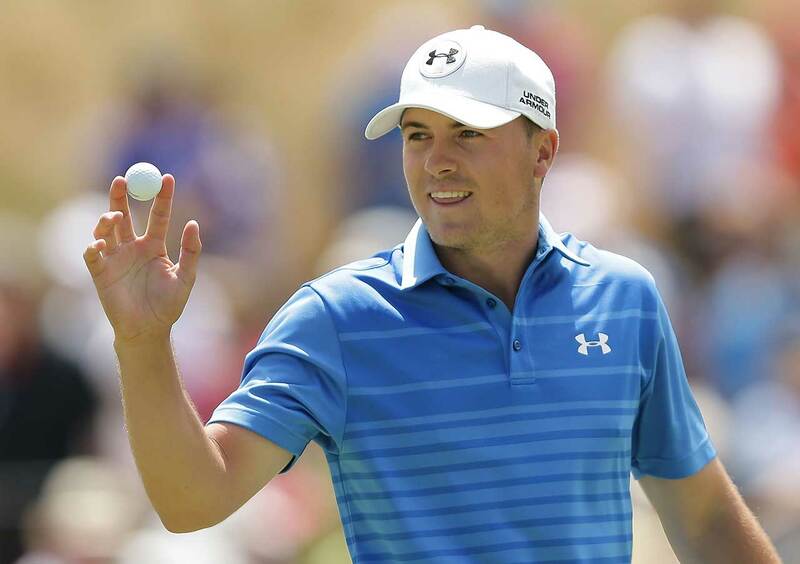 This time Spieth led wire-to-wire, becoming the first to do so since Raymond Floyd last to pull it off in 1976. Spieth never let anyone get closer to him than three shots after his record start. He closed with a 2-under-par 70 on Sunday. Phil Mickelson and Justin Rose both tried to make a final day run. But neither could put enough heat on Spieth to really threaten him. Mickelson and Rose finished tied for second. It’s the 10th time that Mickelson has been runner-up in a major. Bubba Watson won his second green jacket in the last three years on Sunday, firing a final round 3-under par 69 to beat Jordan Spieth and Jonas Blixt by three shots. Watson finished at 8-under-par 280 and earned more than $1.6 million for the win. After his win, he spent time high-fiving fans around the 18th green before making his way to the clubhouse.